By now the countdown to The Day and Night Dress Challenge 2018 is in full swing. Check out the challenge rules and dates here. You’ll also want to check out the prizes that are up for grabs! 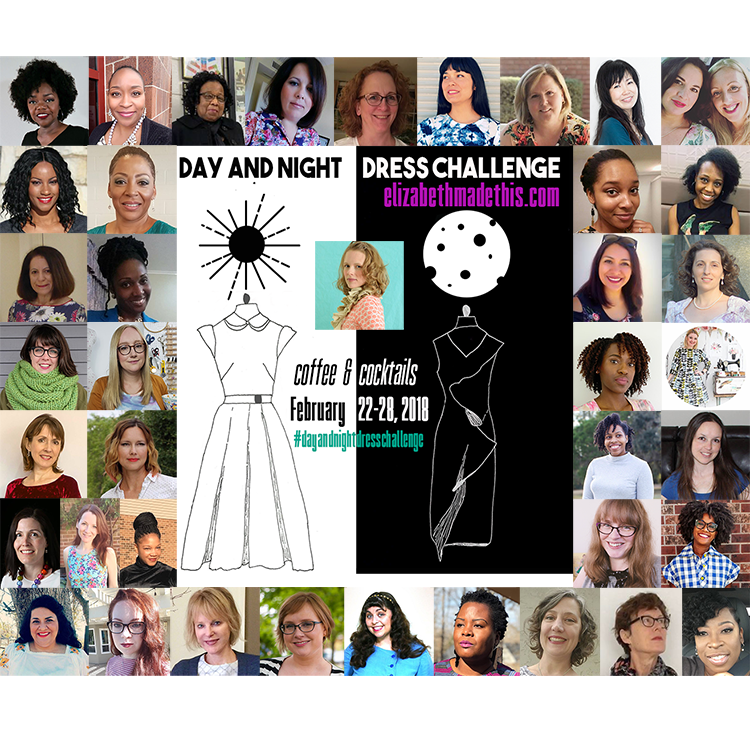 Today I’m introducing you to the amazing crew who will be joining me here on this site and on YouTube February 22nd-28th for The Day and Night Dress Challenge 2018 blogapalooza. There’s a crew of vloggers and bloggers, but all of them are uniquely talented women who will no doubt be making some incredible dresses for coffee and cocktails. Without further ado, let’s meet The Day and Night Dress Challenge 2018 bloggers and vloggers. Are you as excited about this team as I am? I’m your captain for this challenge. I love to sew super fast or interminably slow depending on the project. Sewing gives voice to my creative expression. I’m not above painting fabric, manipulating materials, or embellishing projects to the hilt if it serves the picture I have in my head. Given a choice of coffee and cocktails, I’d reach for a jasmine green tea latte with soy and a hard cider. Not being a huge drinker, I’d probably drink half the cider and use the other half to deglaze my apples for my family famous apple strudel. Alethia is our wonderful leader in the Facebook group Sew Much Talent, and boy does she. She ran her first fashion show this year which was also a fundraiser for The Lydia Project, which is a charity helping women cope with cancer. Sonja is a Dutch sewist of impeccable taste! She has a fine eye for detail and all of her garments are made with beautiful precision. When she’s not sewing garments, she makes adorable stuffed toys. Daniela is the designer of DG Patterns and one of our sponsors for this year’s challenge. She is a prolific designer, who always manages to add really interesting focal points to all of her patterns. I particularly love the Victoria dress she designed for last year’s Day and Night Dress Challenge. Fany lives in Spain and vlogs at Sew Many Fabrics where she shows a whole lotta fabric and what she makes with it! She has laser eyes for gorgeous fabrics and she’s absolutely fearless when it comes to sewing it up. Oh, like that Liberty dress that was a muslin for another project!!! Melissa is another Coloradoan. She’s an enthusiastic supporter of indie pattern designers and is always thoughtful about making garments that fit into her core wardrobe. She did a fantastic job challenging other bloggers to a friendly pattern cage fight in her Who Made It Best series. Jenn is one half of the sewing vlog team at Ms. Makes. She has a love for historical costuming and truly loves all the little details and embellishments that make a good garment a really special one. I can’t wait to see her Italian Renaissance Wonder Woman! Tonya is a petite sewist with a fabulous classic style. Whether she’s made up a casual dress or a sleek set of trousers, her garments are always so polished and suit her small frame perfectly. If you’ve never read Linda’s blog, go treat yourself to a whole lot of inspiration. She does such a great job knocking off ready to wear looks, and she always manages to find the prettiest fabrics and sew them up into looks that are current and fresh. Rikki is a Canadian sewist I met through Sew Much Talent. She is one of the kindest people and makes so many beautiful dresses that fit her so well. I love her American flag dress she made as a tribute to her American friends and her recent contribution for #thelittlereddressproject. 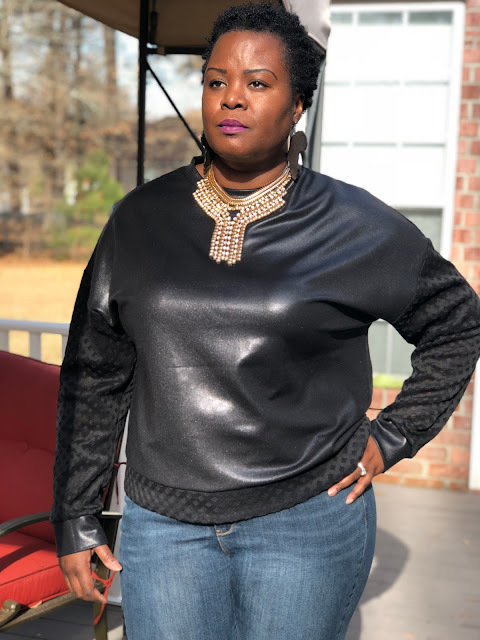 Laquana is another fellow admin in Sew Much Talent, and I am blown away by her gorgeous curvy style. She is a prolific maker and makes bold garments that fit her so well. I love her “Same Fit Done Thick” series (write more of these Laquana!) where she looks at ready to wear and then adapts the styles and patterns to fit her. Her Helmut Lang inpsired sweater of late was particularly cool! I learned about Rachel and Nikki’s amazing channel through The Cosy Cardi Challenge. These two women, teaching sewing from their homes in England are just hilarious. 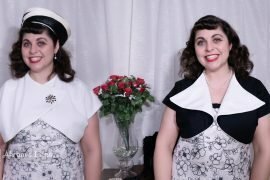 If you want to laugh and pick up some great tips and ideas about sewing, make yourself a good cup of tea and sit down to enjoy their videos! I love Rachel’s vintage style, and Nikki’s dress for #thelittlereddressproject is soooo pretty! Maria is one of the first sewing bloggers I ever followed. Lately she’s been honing her couture skills with the help of Susan Khalje through some incredible lace dresses. I still think about the engineering feat she pulled off for her one shoulder dress last year for The Day and Night Dress Challenge! I learned about Akram through the Easter Spring dress challenge. She has a wonderful vintage style, a love for vintage patterns, and her enthusiasm is just infectious. If you can watch Akram and not smile, you have a cold, cold heart! Sue is a remarkably creative seamstress. She made the coolest jean jacket that won her the crown in the Upcycle contest, and she can match plaid with tremendous precision! A great fan of bold designs and architectural shapes, Romanian Georgia‘s skill set is wide and vast. When she won the last round of Patternreview’s Sewing Bee this year, I was so happy for her. Her precious son and daughter show up frequently in her sewing, and occasionally her husband, like when they all had no less than 2 sets of formal clothes for a wedding and baptism. Dawn is the genius behind That Sewing Blab. Along with Myra Rentmeester, Dawn is there every Tuesday interviewing some fantastic people in the sewing community. Lately, she and Myra got some great pearls of wisdom from the legendary Kenneth King. This lovely Canadian is a talented patternmaker herself. I love the creative process that went into her Dot Coat. I learned about Boz’s vlog recently. She’s one of the ladies behind the New Year’s Resewlutions tag on YouTube. She’s just starting her 2nd year of sewing her own clothes, but she has tackled so much. She’s even taking on the monumental task of sewing her own wedding dress. I can’t wait to see the results! Nateida is such a joy to watch on her channel. She does such a good job detailing all of her sewing learning, and this girl has got sewing organization down pat! I know I will be watching her Eve dress sewalong again when I take on Sew Over It’s Eve Dress. Also, don’t miss her Curvy Girl sewing series. Viv is another fellow sewing vlogger. She has such a wonderful easy humor, and she makes beautiful quilts, and garments for her whole family! I particularly love her Let’s Chat series where she asks some really great sewing related questions that get you thinking deeply about making, sewing, and life in general. There’s few people in the sewing community that engage people better than Faye on the topic of sewing. The host of Tops that Pop, another admin at Sew Much Talent, and an all-around cheerleader for all, Faye is someone you want in your corner! I love how her annual coat turned out this year! Melanie was my hefty competition in That Sewing Blab’s So You Think You Can Sew competition. People, she can sew. She makes beautiful garments for herself and her devoted clients with a side of girly and always the best shoes anywhere. Check out her inventive detachable peplum belt. Mel is a new-to-me sewing vlogger as well. I’m absolutely enchanted by her beautiful English studio and the lovely garments she makes like this Orla Kiely dress, or her gorgeous powder blue Yona coat. Bianca is a tour-de-force in the sewing community and one of our sponsors for The Day and Night Dress Challenge this year. Whether she’s reverse-appliqueing, doing resist dyeing on a dress to work through grief over Hurricane Harvey, or creating her Afro Diva line to help make a positive image for her sweet daughter, Bianca is such an inspiration for creatives! Brittany is always sewing up something just beautiful. You can sit down to sew with her in her Sew With Me videos, or check out her wonderful advice she gives in Sew Sew Def Magazine. How great is this classic trench that she made? I just love Tanya’s work. 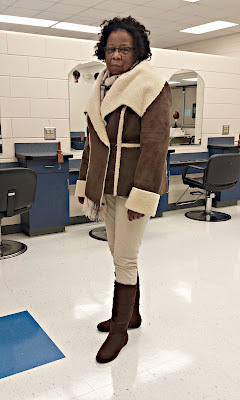 She puts so much care and thought into all of her retro-leaning garments, like her Egyptian Revival Gown and her 1920s Sugar Coat, or I loved reading about her experience at Costume College. I’m so Gillian is on board for this challenge! She’s the head honcho at the Sewcialists blog in addition to her own fabulous blog. I love her easy style and her devotion to her color palette. I’m excited to see some more dusty hues making inroads into her wardrobe! JeTua joined us last year for The Day and Night Dress Challenge. She is such a sweet person, and I love her beautiful dresses. This pink one is just so elegant, and this gingham and Ankara one was featured in one of McCalls’ Instagram stories. A well-deserved moment for this wonderful seamstress! I learned about Helen and her beautiful pattern throughs Sleeve Fest. She too is joining us here as a blogger and as a sponsor. Her patterns are the kinds of things you want to wear like every single day. I love this casual sweatshirt dress she made for Designing December. She also has some great sleeve hack tutorials she did in conjunction with Sleeve Fest. Diane is the other mastermind behind Sleeve Fest, and boy howdy does she make some beautiful clothes. She’s always finding stunning fabrics and treating them with the care and attention they need to become equally beautiful garments, like her littlereddress, or the coolest exposed zipper skirt ever, or this crushed velvet skirt with fantastic pattern placement. I’ve always admired Meg for her bright cheerful wardrobe and her precise sewing. After living in Thailand, I’m kind of excited for Meg to be making more cold weather clothes for her new Vermont life like this big chunky cowl, fun plaid Lou Box dress, and collection of Toaster Sweaters. What drew me to Katie’s vlog besides her wit is her thoughtfulness. 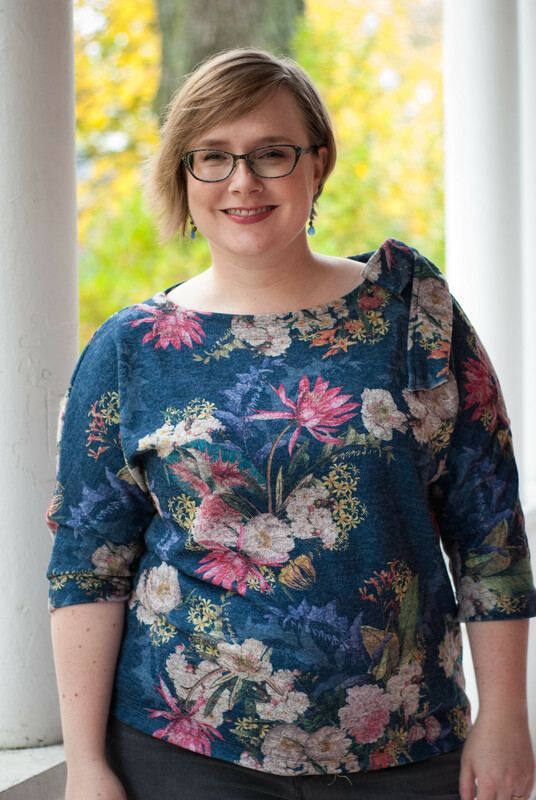 Her Sustainable Seamstress series asks some really great questions about sewing, and I admire her commitment to not buy any more brand spanking new patterns in their shiny packages! And her thrifting videos give you a great look at how you can really find some wonderful tools and notions and fabric and patterns for our craft at your local thrift store. While Helena may not live in Seattle anymore where it is indeed Gray All Day, she’s still sewing up cool projects with her signature edgy, yet girly and always stylish look. I love this reversible dress, her very ambitious Marie Antoinette dress and this pattern hacked jacket. Don’t miss her podcast, Clothes Making Mavens! Renata and I met through this challenge last year, and since then, I’ve so appreciated her encouragement and friendship. She did another great job hosting #thelittlereddressproject this year. She always beautifully styles all her fun makes like fierce interpretation of McCalls 7542, her collection of Agnes tops, and her Colors of the Flags ensemble. I’ve so enjoyed getting to know Myra through my time on That Sewing Blab. She is such a supportive, encouraging voice in the sewing community. When she joined YouTube, I was thrilled because this lady has so much knowledge and experience to share! She makes some killer jeans like these flocked Ginger jeans, or my absolute favorite–this pair inspired by a movie. Karina packs in so much sewing inspiration and joy into all of her videos. Hailing from Chile and currently moving country, Karina sews like at lightning speed. She might have been the 1st person to subscribe to my own channel, and I knew we’d be friends when I saw how much she loves refashioning. A devoted pattern hacker and a adept pattern drafter, I’m always excited to see Karina’s videos pop up in my feed. I sincerely hope that I get to meet Judith the next time I’m in Montreal. She has an easy grace and elegance in all of her garments. She’s the queen of the shirtdress, a connoisseur of jeans patterns, and always has some helpful sewing advice up her sleeve. Tisa is another of my fellow admins in Sew Much Talent. She has a great eye for bold designs, and I love how much fun she infuses into her makes like this Ankara coatand colorblocked Mimi G Dress. 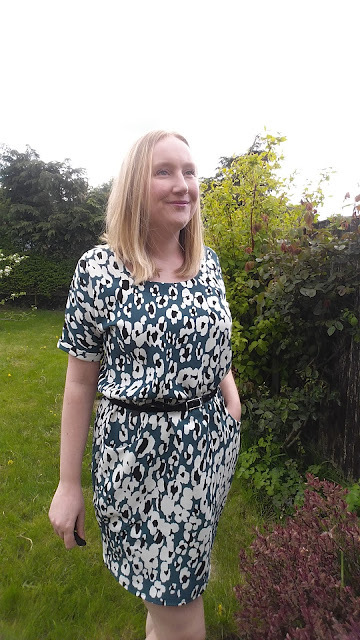 Finally, but certainly not lastly, Eli of Cat in a Wardrobe will be bringing some of her effortless style and wonderfully creative sewing. I love this ruffle denim dress she drafted, and the color combo of the above Liberty jacket and this jade jersey dress is a wonderful example of Eli’s beautiful color palette. Apparently there’s such things as secondhand kimono stores in Japan too where you can find wonderful silk kimonos like the one Eli used for this dress! 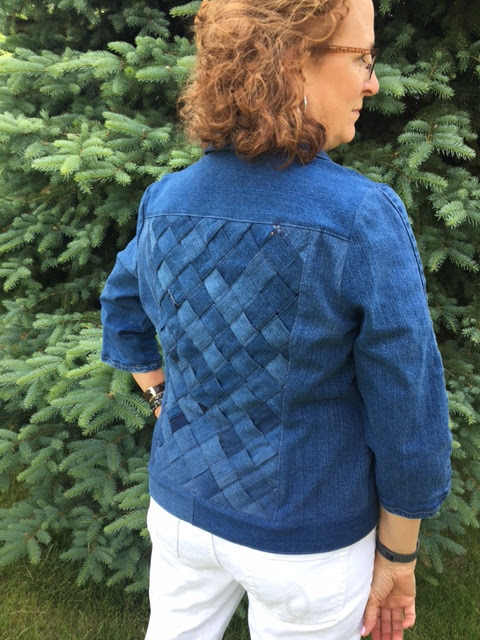 Sew Saturday Snippets #7: Sewing fun with sweaters! Am I too late to join then? I joined your facebook group… Is it something you have to have entered at the start, or just something you enter once you have the dresses sewn? No, you’re not too late. This team is a group of ambassadors for the challenge if you will. They’ll be participating in a separate part of the challenge during Feb 22nd-28th where they’ll be sharing their dresses. Everyone else will be eligible for the community challenge, and you have until March 5th to finish. If you’re in the FB group, I can also post from your pictures there, since I know you said you’re not on IG. I am really happy (ecstatic) about this challenge! Thank you so much for the opportunity to join! I’m excited to be a part of this challenge with so many fashionable, creative and fascinating ladies! I love to see how everyone’s style and strengths are all a little different–it’s going to be amazing to see how everyone interprets the challenge. So many talented dressmakers – I’m in awe. It’s fabulous to meet a whole bunch of people I didn’t really know before, too. That is definitely a cool thing about challenges, Katie. Sewing is so often a solitary activity, but there’s a camaraderie that grows out of things like this! So cool to see a bit about everyone! I am super excited about this challenge! Me too! I can’t wait Sue! So tempted! I am short on dresses but I am not allowed any new fabric! I have to use my plentiful stash. Does the day dress and the night dress have to be made from the same pattern? Good luck Linda! Fabric fasts are tough! I’m sure you’ll find something cool in the stash! No, you do not have to use the same pattern. Use whatever you’d like, and by all means make the challenge fit your life! Ok then the plan is a coffee dress and a cocktail dress in the month of February. If I say March I’ll never get them done! I’m always so slow to leave the gate, you might say! I can picture the fabrics and the patterns in my head so I think I’m all set! I’m in! I’ll post on Instagram and a Facebook and of course I’ll have to blog about it too! 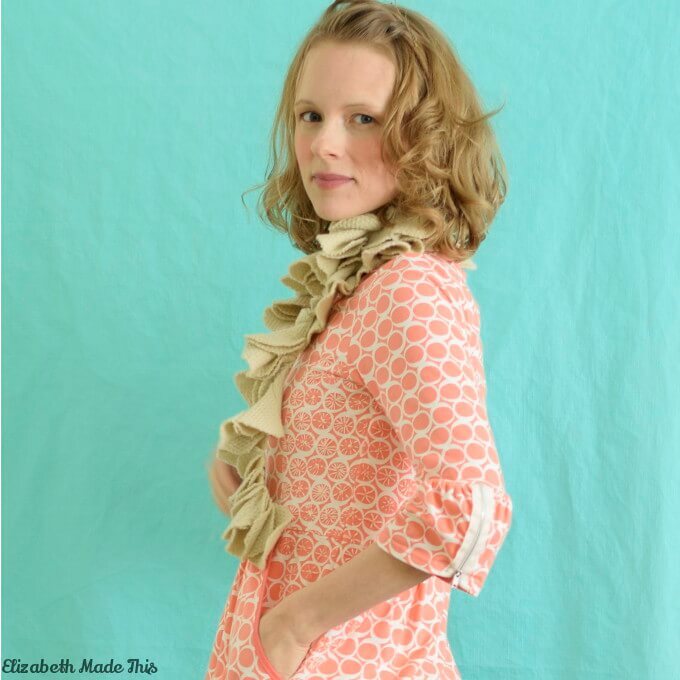 Thanks for providing such a FAB inspiration, Elizabeth! Yay! More inspiration is to come Linda! I’m so glad you’re jumping in. I’m going to start planning for Designin December now. I so wanted to do it, but all my obligations knocked me out. That happened with the PR Sewing Bee too, and it looks like they’re not doing it this year. ;( Planning ahead is always a good strategy! I’m looking forward to seeing what you have up your sleeve! What I have up my sleeve? There might not be any on my day/night dresses! thanks for the inspiration! LOL! I know one of mine will not either! A stellar group of talented sewist of which I am honored to be a part of!!! Wow, an amazing group of sewers to get to know and visit. Thanks for hosting the challenge. Absolutely. I’m so glad to do it! It’s such an honour to be a member of The Day and Night Dress Challenge 2018 crew. I’m so glad to have you on board Sonja! Absolutely Diane! I’m so glad to have you as a part of this team! This is so above and beyond Elizabeth!! Im in awww!!! I loved reading the intro’s to my sew sisters. Thank you for letting me be a part of this!! I can’t wait to see all the amazing dresses!! It’s going to be epic Tisa! Pingback: Day and Night Dress Challenge: I’VE SAID YES TO THE DRESSES!